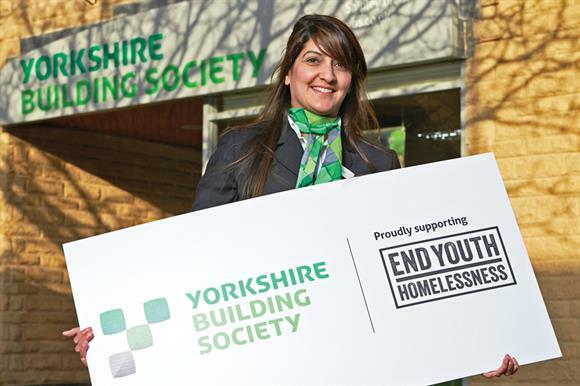 Yorkshire Building Society has a strong track record of delivering high-quality corporate partnerships. Its two-year partnership with the terminal illness charity Marie Curie raised £1.15m - almost double its target - and helped it to win Business of the Year at Third Sector's Business Charity Awards last April. Earlier this year it announced that it was entering into a three-year partnership with End Youth Homelessness, an initiative that brings together homelessness charities and businesses to support young people and find solutions to the problem of youth homelessness. Pauline Giroux, corporate responsibility manager at the society, expects raising money for End Youth Homelessness to be harder than doing so for Marie Curie because "homelessness divides people", but says "that's part of the appeal". YBS, says Giroux, was founded to help people get their own homes, so its purpose aligns with the End Youth Homelessness mission to help young people rent their own accommodation. The main goal is to raise £750,000 to help 700 young people supported by EYH take the final step away from supported accommodation into renting their own homes. The partnership began in January after a year-long recruitment process. The society researched potential partners on the Charity Commission website and drew up a shortlist. It wrote to each one to assess whether they had a suitable project. Four charities were invited to pitch to a 13-strong cross-department staff panel. Employees and customers were then invited to vote on the top three. Their votes, along with the panel rating, led to the selection of EYH. Funds raised by the partnership will help to pay for bonds to cover landlords if rent is defaulted. There will also be grants for home essentials, such as bedding and kitchen utensils. Staff will give financial advice to the charity's beneficiaries and run action days in branches to raise awareness about youth homelessness. Giroux says the society will also seek advice from the charity about improving its financial products for young people, as well as act as an advocate for change by encouraging the government to address youth homelessness. The combination of a shared common purpose to find homes, measurable outcomes and the opportunity to help a serious cause over a period of time explains the partnership's appeal, says Giroux. "It is going to have massive impact on a cause that doesn't get picked often by corporates," she adds.